Air Niugini’s Fokker services into Hoskins airport in West New Britain will resume this Saturday 03rd December in time for the peak travel season, following completion of maintenance work on the runway. The airline’s F70 and F100 aircraft were unable to operate to Hoskins since September this year to allow for further works to be carried out on the runway surface. Since then Air Niugini’s subsidiary company, Link PNG has been operating its Dash 8 aircraft to and from Hoskins. 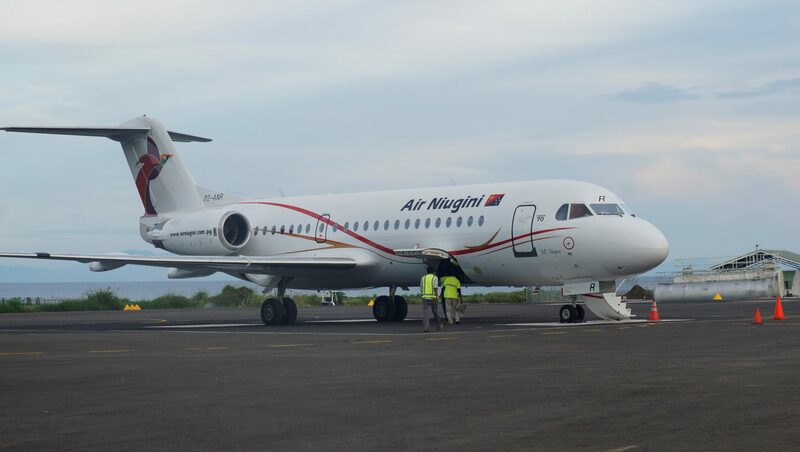 Air Niugini’s F100 and F70 will be operating 9 return services weekly between Port Moresby and Hoskins, plus an additional 3 weekly return services on the route from Port Moresby via Lae & Hoskins to Rabaul.